The snow-sure ski slopes of Obertauern extend to a huge 100km of runs, with something to suit all standards and tastes. However, this isn’t the only reason we love Austria’s snowiest resort. 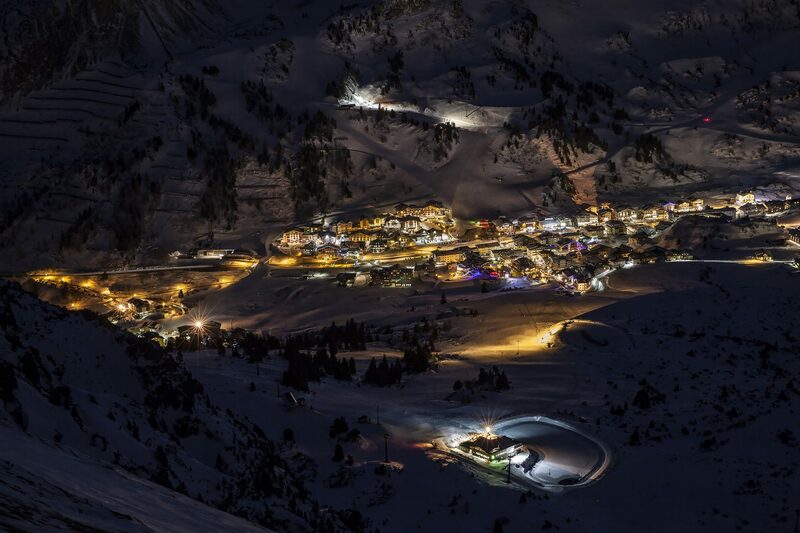 There is also a huge amount going on off the slopes in Obertauern – from entertaining après-ski, to fun non-skiing activities and incredible local cuisine, there’s something for everyone here. There are a great range of places to eat, drink and be merry in Obertauern, with more than 100 bars and restaurants to choose from. As the lifts close, there are a host of slopeside après-ski venues to slide into as bars like the Edelweissalm Chalet in the Lürzer Alm get the party started with a DJ performing as skiers start dancing on the tables. You’ll find a great choice of dining options, with all tastes catered for and many different international cuisines on offer, albeit with wholesome and hearty Austrian mountain dishes of course the most popular. Later on, establishments like People, Mundwerk and Römerbar stage live gigs and DJ sets while serving drinks from a vast menu of more than 250 different cocktails and some 300 international spirits. There’s plenty more to do in Obertauern when not skiing or boarding – even for people who don’t actually want to ski or board, just to enjoy a snowy holiday in beautiful nature. Outdoors, there are some great cross-country ski routes if you prefer to slide at a slightly gentler pace and more horizontally. An unusual attraction is the chance to try out the exciting sport of biathlon – combining cross-country skiing with shooting a rifle on a firing range. Getting the balance between the exertion of the skiing and the calm needed to shoot straight is very challenging, and it’s a lot of fun trying to get it right. Another on-snow activity not often offered is snow kiting – very much like kiting on the water, this time you’re on the snow, and there’s a special snow kiting school to teach you the basics. Snow biking – a kind of cross between cycling and skiing, using skis instead of wheels – is also popular and great fun. Besides biathlon, you can also try another Olympic sport not offered by many ski resorts here: ski jumping, with a special introductory course. Of course, you can also sign up for a guided winter hike through the snowy scenery or join a snowshoeing group. There are also some wonderful long toboggan runs (one 1.5km and one a full 5km long – that’s more than three miles! ), and you can sign up for a scenic sleigh ride. Airboarding (sledging on an inflatable sledge) is also offered, and the village has its own ice rink. Indoors, the resort’s sports centre offers a fitness centre, bowling, a pool table, darts, table tennis and a multi-purpose hall for football, volleyball, tennis and basketball; mountain yoga classes are offered at the end of the ski day in the Haus des Gastes. In addition, many of the rest’s hotels have their own indoor swimming pools, as well as spa and wellness facilities. While much of Salzburgerland is associated with Julie Andrews and the Von Trapp family in the movie classic The Sound of Music, Obertauern has a more remarkable claim to fame. The fun-filled snow and ski scenes that appeared in The Beatles movie Help! were shot here. It may now be more than five decades since the Fab Four and a film crew some 60 people strong were in resort back in 1965, but the locals have never forgotten their visit, and there are pictures, monuments and other memorabilia to be found in many of the village’s hotels and restaurants, and even out on the slopes. You may even be lucky enough to visit when a Beatles tribute band is in town. The Das Seekarhaus hotel is just one example. Here you will find a dedicated “Beatles Bar” full of signed photographs, skis worn by the band, a jukebox and even a cocktail menu with Beatles-themed drinks. The hotel is owned by a gentleman named Gerhard Krings, who can not only claim to be the proprietor of a very nice hotel but was also George Harrison’s stunt double for the Help! shoot. He’s one of several gentlemen in resort who were just young men when The Beatles stopped by but now own hotels, restaurants, ski lifts and more and are big players in the village. The Beatles stayed in the Hotel Edelweiss during their stay in Obertauern and hosted a wrap party for the film’s cast and crew there on the evening of 20 March 1965.